My final reconstruction surgery is scheduled for Friday and I’m rather looking forward to it. It is as though I can see the finish line and can’t wait to cross it. I have crossed off so many goals and milestones in my journey with cancer, but the big goal — finishing — has always been off the horizon. Gene and I had a mini celebration last night and blew up some tomatoes from the garden, some old eggs and my favorite . . . a stale can of biscuits. I laughed so hard when Gene shot the can and biscuit dough started spurting out in a stream. I laughed even harder this morning when I saw the empty can at the edge of the forest. 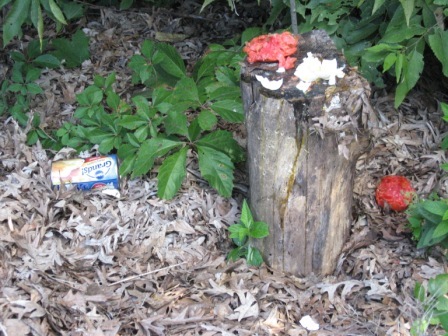 It appears that raccoons had a feast on pieces of tomato, broken eggs, and biscuit dough. They were rude enough to leave the can behind. Stage 2 of reconstruction will include replacing the temporary tissue expander with my permanent implant, leveling my breasts, some final tweaks, and my favorite — a fat transplant. I kid you not. All these years that I have been offering to be a donor for a fat transplant thinking that it was a made up procedure, and it turns out there really is such a thing. Well sign me up. The leveling of my breasts is due to skin damage from radiation. The right side skin has not stretched like the doctor was hoping it would. So we need to raise the left breast so that they are level and plumb. (I just added that last part for fun.) I have been wearing shirts with prints to disguise the imbalance for several months, so it will be nice to have my clothes fit better in the future. But what will make me “unique” once everything is balanced? The surgery is scheduled to take three hours, and I’m sad to say that preparing for surgery is becoming routine now. The laundry is done, the plants have been pruned, my desk is clean and my calendar has been cleared. I have my friend Joanne taking care of Luci dog and house sitting. I have a week’s worth of meals prepared and in the freezer, but Gene promises he has the Pizza place on speed dial in case of emergency. My friend, Tess, is coming to town for the surgery and for entertainment. She thinks I’m funny after anesthesia. I explained to her that if all goes well and my surgery starts on time, I might, possibly be able to go home on Friday. She just laughed and said she was coming anyway. She finds my unrealistic goals amusing. I should have a short two week recovery, then arm and shoulder rehab again. I’m becoming a professional at rehabilitating a shoulder. My favorite exercise is to reorganizing the shelves in my pantry to see how high I can stretch my arm. Maybe that should be my next profession — Shoulder Rehab Ltd – We will have you back to organizing your pantry in no time! I do have plans for a spectacular grand finale at the end of the month — two years to the date of my diagnosis. My sister and brother-in-law will be here visiting from Texas. I don’t want to ruin the surprise, but the grand finale involves a lot of pumpkins, a lot of tannerite, and a lot of bra stuffing material! you ARE funny, all the time. I’m laughing with Kathy today. Kathy: Have thought of you so often & saying prayers for you, and yours. Am sure all will go as planned, because you are meticulous in detailing. 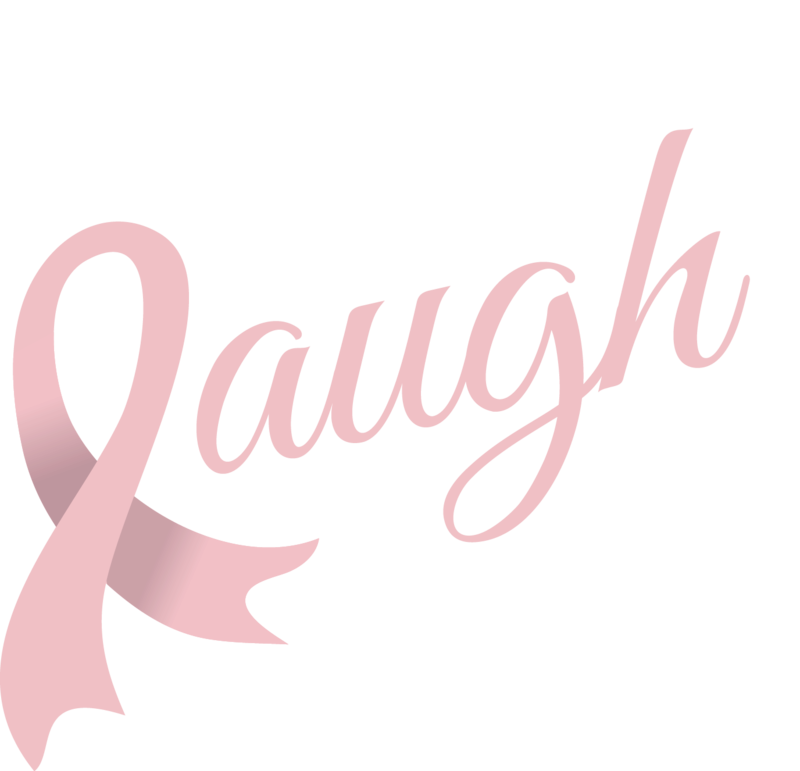 Am doing fine now, but had uterine cancer last year and had all the requisite surgery. Am blessed with a fab surgeon/oncologist. Made the first 6 months check up without problems. Will be better after the 5 year milestone. I had no idea that you have been going through all of that! I’m glad to hear that things are going well and that you too are getting this behind you! Woohoo! Looking forward to Friday and thinking celebratory thoughts. Recover quickly, my friend. So excited for you, Kathy! I’d say “break a leg”, but you don’t need any more rehab. Best wishes, Kathy. I can’t believe what all you have been through! I SO wish I could be there with you…and Tess! I will be your cheerleader from here though!! Best wishes! !